Emily graduated from the Royal College of Music with a First class honours degree in Trumpet Performance. During her time there, she undertook modules on teaching styles and methods. She has a passion for teaching and has been doing so since the age of 12. Emily holds an up-to-date Enhanced DBS check (available at request), Incorporated Society of Musicians Public Liability Insurance and is fully qualified to teach Trumpet, Cornet, Piano and Clarinet. Emily started playing Cornet at the age of 8 in the Forest of Dean and grew up playing in local brass bands and youth groups, including the Nation Children’s and Youth Brass Bands of Great Britain, and the National Youth Wind Ensemble of Great Britain. At the age of 16 she was awarded a music scholarship to study at Wells Cathedral School in Somerset, where she took up playing the trumpet. Having had a very successful two years at Wells Cathedral School, completing the DipABRSM, Emily earned scholarships at the Royal College of Music, the Royal Academy of Music and the Royal Welsh College of Music. 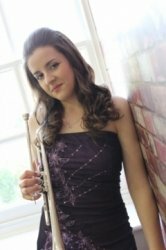 Emily is currently a professional army musician and Trumpet/Cornet teacher across London. I have been teaching both adults and children for many years now, having had my first pupil at the age of 14. Over the years I have volunteered at local brass bands helping tutor young children to bring them through the ranks and have been teaching ever since, gaining more pupils of a wider range of ages and abilities. I currently teach at schools across London and co-run a Music School in Parsons Green. I offer the first lesson at 50% off because I believe that it's very important for the student to meet me and make sure that they are happy and give them the opportunity to tell me what they want to achieve from their playing. From a very loosely structured first lesson, it allows me to set guidelines for what I think they can should aim to achieve and get to know them. Every student of mine is different in every way, and the first lesson allows me to work out which teaching style I need to use. With my students (especially the younger ones) I believe that they should also learn the basics in music theory, which I will gently incorporate into the lesson and music-making. This way, they have an academic understanding of what they are doing and can progress through the grades if they wish to. Emily is a great teacher. Only after a few lessons I feel I’m making progress. Highly recommended. I liaised with John on First Tutors, replying to him promptly and agreed to teach him how to play the Bugle. I explained to John that I couldn't swap details with him within the First Tutors website and that he would need to purchase my details. I am told by First Tutors that he did purchase my details, but he never made contact with me and I was not sent his details to be able to contact him. It's a shame that he has given me negative feedback when I was always very quick in replying to him and willing to teach him.